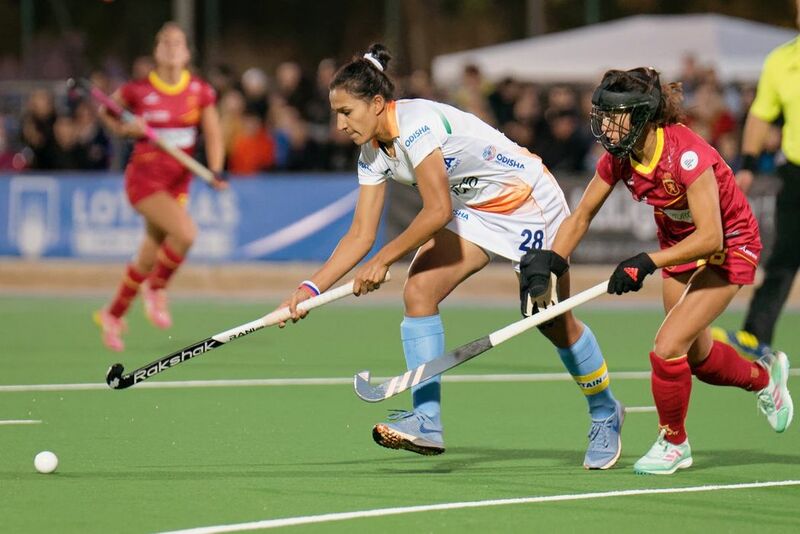 After a successful tour to Spain, the captain of the Indian women’s hockey team Rani Rampal has stated that the team is focussed on qualifying for the Tokyo Olympics to be held in 2020. The Indian team will start its Olympic qualification matches in Japan’s Hiroshima from June 23 this year. 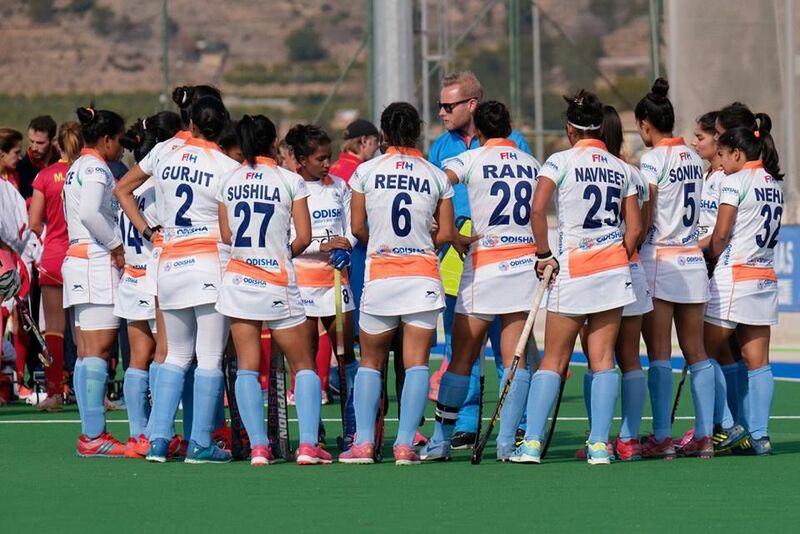 After the successful 2018, the Indian women started the new year on a high with a tour to Spain under the guidance of head coach Sjoerd Marijne. They drew the four-match test series against the home team while managed to win the series against World Cup runners-up Ireland 1-0. Playing in the absence of skipper Rampal in the last two games of the tour, India drew the first game against the Irish team and won 3-0 in the second match. Rampal, who had to miss the last two matches after sustaining a shoulder strain, is not a part of the Indian Railways team in the Senior Women National Championship starting from Friday because of her injury. Meanwhile, the Indian captain is satisfied with the performance by the girls in all the six matches of the tour and expects them to carry on the same momentum during the Olympic qualifiers those are scheduled later this year. “The team played really well in the tour and showed improvement after each and every match. It was a consistent performance by the team and we want to keep growing as a unit. After a long time, the team is continuously doing well and our next target is Olympic qualification. We are all set to do well in the qualifying events,” Rampal told SportsCafe during an exclusive interview. The Indian women’s team, which had played only in the 1980 Moscow Olympics, qualified for the Rio Games in 2016 ending a 36-year drought. Although the side finished 12th in Rio de Janeiro, the team has grown leaps and bounds since then. The previous year, which saw the men’s team losing to Malaysia in the Asian Games semi-final and to The Netherlands in the World Cup quarter-final at home, was a successful one for the women. They made it to the finals of the Asiad after 20 years but lost to Japan in the final in Jakarta. In the Commonwealth Games and the Women’s World Cup last year, India qualified for the semifinals and the quarters respectively which was their best show after a long time in those events as well. “I think, after the Rio Olympics we have done really well in major events. That was the first time that we played at the Olympics and we got to learn a lot. Despite the poor result in Rio, our team has improved a lot. “Playing together for a long time has certainly helped us a lot. We all have a very good understanding with each other. Most of the senior members have been playing together for a while and this helps a lot in our game,” the Indian forward explained. With an aim of making it to the Olympics, India will play the FIH Series Finals in Hiroshima, Japan in June. They will take on Chile, Fiji, Mexico, Poland, Russia and Uruguay, and hosts Japan and they have to finish inside top two in the FIH Series Finals to make it to the final qualification tournament to be held later this year. Defender Sunita Lakra and Midfielders Namita Toppo, and Monika missed out on the tour to Spain after sustaining injuries. However, their absence from the side gave an opportunity to the youngsters to put up an impressive performance against Spain and Ireland. “2-3 players were injured like Sunita Lakra, Namita Toppo and Monika and were recovering from that so they were unable to travel. In their absence, the young girls performed well in the recent tour. Lalremsiami, Navneet and many others are playing well nowadays,” the 24-year-old informed. Sjoerd Marijne was appointed as the head coach of the women’s team in May last year after the Commonwealth Games in Gold Coast, Australia. The Dutchman has been at the helm of the team for a while now and according to Rampal, his impact has been instrumental in the team’s success as well. Hockey India is also focussed in giving more number of matches for the Indian women ahead of the major qualification matches so that they get enough match practice at this time of the year. Most of the members of the senior team are either playing in the Senior Women National Championship or in India A’s four-match series against France A both starting from Friday. “I think playing regular games keep the players in rhythm. India A will play against the France A team as well. Hockey India and SAI are doing a commendable job in giving us a chance to play continuously so that the girls get proper exposure and the rhythm of the players is not broken. I am really thankful to the officials for this,” the Haryana-born forward concluded. Starting his professional career in media as a freelance sports presenter and commentator during his BSc (Geology) days in 2012, Chiranjibi has an experience of more than three years in international cricket website cricbuzz.com as an audio commentator. He has also worked as an anchor and international sports commentator for Doordarshan in Odia, Hindi and English, sports presenter for Odia news channel News 7 and radio compere in All India Radio. He worked as an English Reporter for Odisha Television Network before joining SportsCafe. He also worked as a freelance media professional and event manager. After completing his MSc in Geology from Ravenshaw University, he studied MA in Journalism and Mass Communication at BJB Autonomous College, Bhubaneswar.